Foliage has skyrocketed from periphery desire to interior mainstay—consider it the latest and greatest accessory for your home. While that status may have been a few years in the making, the thrill of plants in one’s home has surfaced questions that otherwise seemed trivial: What plants are best for which climate, how often do they need to be watered, and how big do they grow? Most importantly, however, which are the best to buy now? We want perfectly designed living spaces, and the cornerstone to that is houseplants. Thanks to our friends at The Sill and Folia Collective, we were able to get expert advice about the ones to add to your roster this year. “When it comes to plants, pricing is usually based on two factors: size and rarity. How big is it, and how hard is it to find? When it comes to cacti in particular, they’re super slow growers, so smaller is more economic for customers and suppliers. They’re also very unique looking! Cacti can come in all shapes, colors, and sizes, and some look almost unreal, alien-like. Definitely different aesthetically from tropical plants. If you’re an East Coast native, there’s that West Coast appeal. We’re so far removed from the sun and desert that cacti are really unique. Cacti are easy to care for since they’re succulents (from the Latin word succulentus for juice or sap), and are defined by their moisture-storing capacity. Botanically-speaking, the term succulent refers to any plant that has evolved adaptations to survive hot, arid environments (like a cactus has to survive the desert). This means a cactus-owner can go weeks—maybe even months during the dormant season—in-between watering their plant. That’s really attractive to someone who wants plants, but doesn’t have a ton of free time to devote to them. “Fishhooks Senecio (or String of Fishhooks) is such an easy-to-grow trailing succulent. They’re not fussy to care for, but they do require bright, direct light and infrequent waterings. “We’re seeing a huge spike in patterned plants, particularly the Calathea variety. They are easy to care for—they only need to be checked on about once a week, watered every one to two weeks, and kept in medium sunlight (making them great for urban dwellers). They’re also pet friendly, and there are so many different varieties of the Calathea. “With companies like Glossier, the beauty industry has really made people more concerned with what they’re putting on their skin and what’s in their beauty products. We’ve seen a huge response to the Aloe Vera plant, both online and in stores. 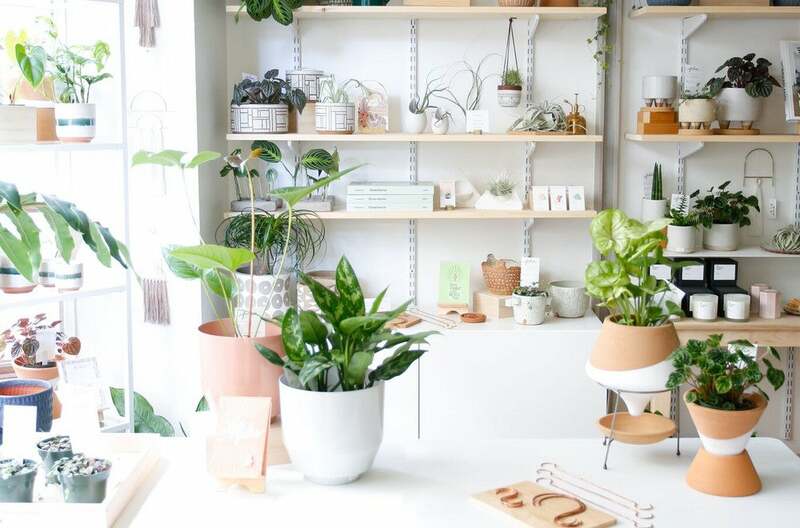 “The Pilea Peperomioides became a darling amongst plant nerds, and it’s now begun to cross over to more of the average consumer. It’s very difficult to get in North America, but people love it because it grows in an unusual way—and it’s easy to propagate. This story was originally published on January 28, 2018. It has been updated with new information.